This carbon fiber front splitter is beautifully crafted by hand to not only create a visually striking addition to the vehicle, but also enhance the vehicle’s aerodynamic balance. 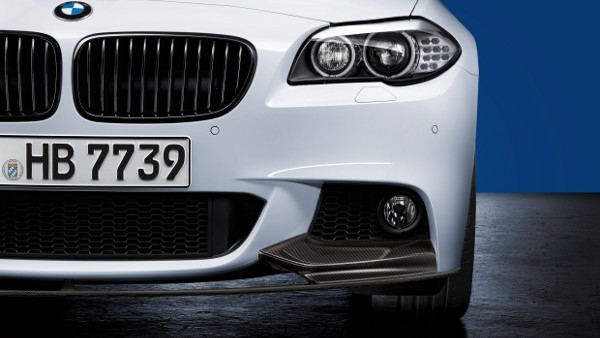 The front splitter is perfectly coordinated with the car in terms of both style and function.The M Performance Front Splitter can only be installed on vehicles fitted with the M Sport Package. 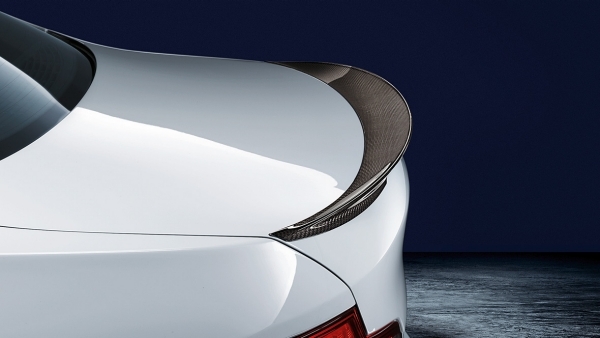 To ensure proper driving behavior/aerodynamic balance, it is strongly recommended that the rear trunk lid spoiler be installed in conjunction with the front splitter. 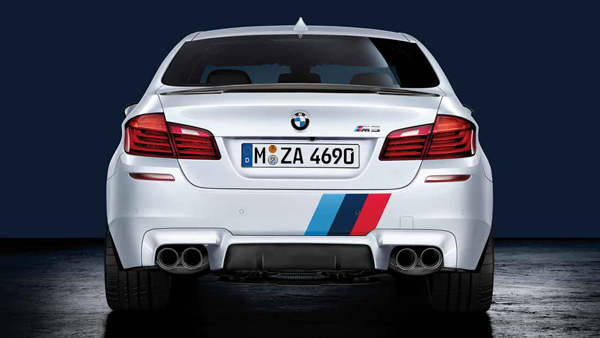 This rear diffuser has been designed to perfectly fit 5 Series vehicles with the M Sport package. The diffuser is constructed using a PUR-RIM (Polyurethane Reaction Injected Molding) process that makes it both strong and lightweight. The diffuser comes in a black matte finish and can be painted if desired.Only for vehicles equipped with the M Sport Package. 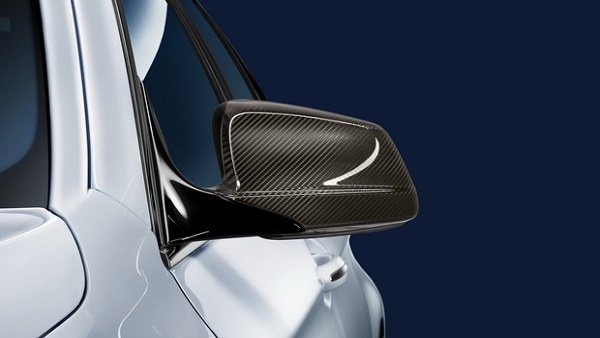 These high-quality mirror covers are handmade using a carbon fiber weaving process and are clear coated to protect them from discoloration caused by UV rays. Not applicable for 5 Series vehicles built before 07/2013. 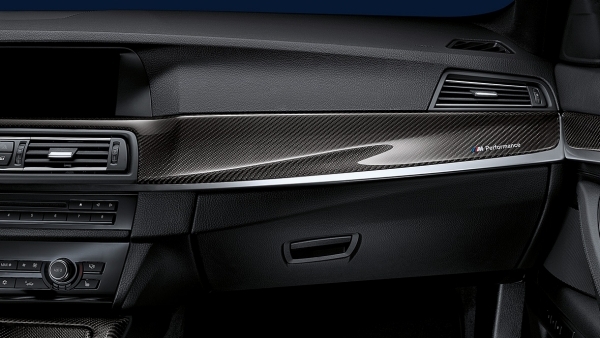 The M Performance Carbon Fiber Interior Trim set replaces the vehicle’s existing trim with beautiful, hand-crafted carbon fiber pieces to enhance the vehicles’s premium look. Each trim piece is clear-coated and polished multiple times to creat a distinctive depth effect and protect against discoloration cause by harmful UV rays. The passenger side dash trim has a high-quality M Performance inlay.Trim package includes door handle pulls, center console, ashtray lid, cup holder lid and dashboard insert. 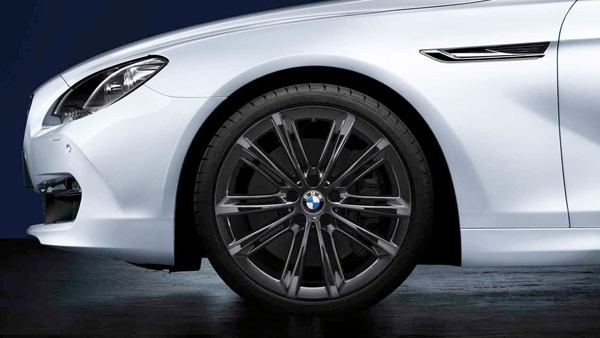 These high-gloss black kidney grilles enhance the sporty and menacing character of the BMW 5 Series.This product is not compatible with vehicles equipped with Optional Nightvision (SA6UK). 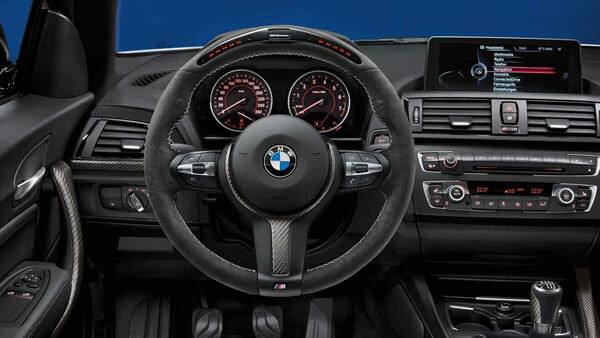 This BMW M Performance Steering Wheel is the perfect addition for any performance enthusiast. 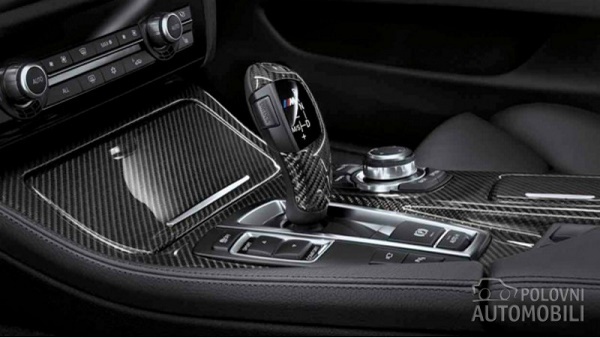 Features genuine Carbon Fiber to add to racing feel and exclusivity and is fully wrapped in Alcantara to provide excellent grip and comfort in extreme driving situations.M Sport leather steering wheel (SA 710) – built after 07/2013: All parts can be adopted. Basic steering wheel, leather steering wheel (SA 240), Sport steering wheel (SA 255) for all cars plus the M leather steering wheel for cars before LCI – built up to 07/2013. Parts that cannot be adopted: Airbag unit, multi-function buttons and possibly shift paddles as well as steering wheel electronics must be ordered new and replaced. When installed with SA 248 (heated steering wheel), the heating function is disabled; it does not need to be decoded. The switch for the heated steering wheel remains without function.